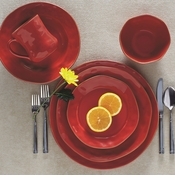 The Cantaria Dinnerware and Bakeware Collection by Skyros Designs skillfully molds function with simple, bold and sophisticated form. 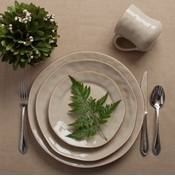 Cantaria means stonework in Portuguese which aptly describes this masterfully created line of stoneware. 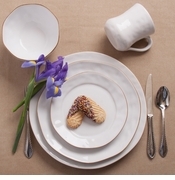 Made in Portugal, this collection epitomizes the craft and passion of the Portuguese ceramic artisans that work to bring this collection to your table. Through the organic colors and shapes of Cantaria, Skyros Designs has captured the strength and beauty of nature. 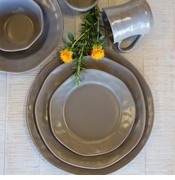 Each item in the Skyros Cantaria collection is available in seven beautiful colors: caramel, golden honey, ivory, pine green, sage green, almost yellow and poppy red. 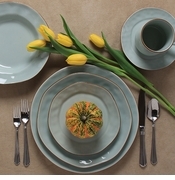 If you collect place settings in all seven colors you could easily designate four colors to each of the four seasons. 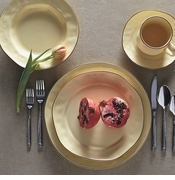 Imagine a spring breakfast served on Sage Green, Ivory, Almost Yellow and Golden Honey plates. 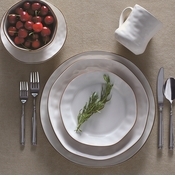 The soft colors would add a freshness sure to whisk away the winter blahs. For summer, picture an outdoor meal on your deck or patio with Poppy, Sage and Pine Greens, and the delightful coolness of Ivory. Fall brings a nip in the air and a change in the foliage. 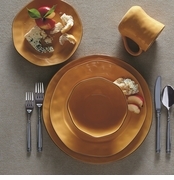 What better way to celebrate these changes than with your meals served on Caramel, golden Honey, Pine Green and Poppy dinnerware? Winter chill brings not only the cold weather but the anticipation of holiday get together. 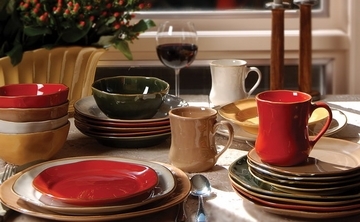 Warm up your dining room with Caramel, and get into the spirit of things with Pine Green, Ivory and the festive Poppy. 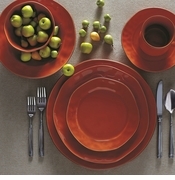 With colors this beautiful and natural there's no need to use a color for only one season. 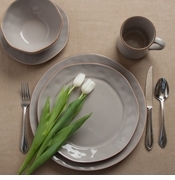 Part of the beauty of organic colors is that they are natural neutrals and will go with any decor or season. 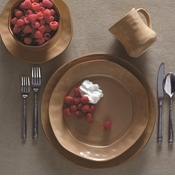 With marvelous Cantaria dinner and bakeware you can celebrate life in the fresh outdoors and the cozy indoors all year long.